I wasn’t quite expecting to be left feeling rather disturbed by the end of this issue. But alas, here I am, feeling that way after finally reading my copy of this title’s first issue! 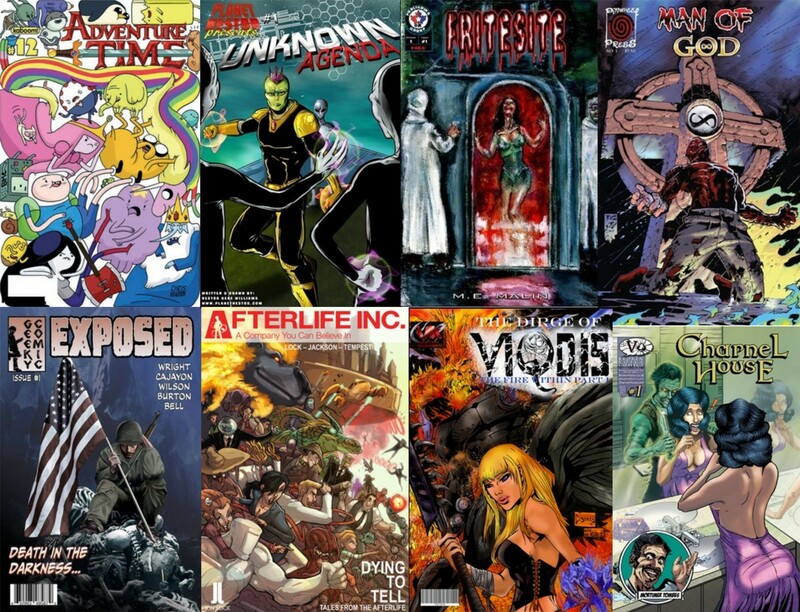 Along with what I’m pretty sure is my first time reading a ComixTribe title for that matter as well. So a heck of a way to do that for sure! I love that rather instead of having this set in America like a lot of comics tend to do, John Lees has this set in merry ol’ Glasgow, Scotland. And one of its native is a bit on the talkative side named Allan. This guy certainly seems like the kind of guy who’d be the life of the party but would turn out to probably be no where near the kind of guy you wanted with you out on the streets. Especially if you aren’t too familiar with them cause you tend to take a bus, a taxi, or whatever else to get home! Allan’s friend? Girlfriend? (Known as Heather) Had the right idea of going home in a taxi with their nameless friend, I’ll say that much! Its interesting seeing John take long time stories of an area of Glasgow and make use of them here. Especially where a certain bus we see a couple of time is concerned.That bus is something that immediately tells you something is damned off about the area Allan is. Something he’s unfortunately a bit… Oblivious too at first thanks to how he usually gets home. Now whether or not that bus has what I think it does remains to be seen since Alex Cormack teased it just right with his art and colors so that we can’t exactly see for a certainty if something’s wrong or not so you go with an obvious bit of thinking. Especially after your first read through and then perhaps a second or third and then notice more things as you do so. Alex does a fantastic job of showing Allan’s fearful expressions as the story goes on and it makes me wonder if this isn’t his first foray into horror comics. Either way, I’m happy he’s the one handling the art and colors here. Colin Bell does a decent job with the lettering, especially in certain areas when the dialogue is a bit different. And I guess meant to show a side of spookyness when some dudes are shouting out one particular word as Allan’s trying like Hell to get to somewhere safe and sound. Is it safe to assume that Allan’s unwanted pals are Cannibals? Or just some really sick puppies? Of course answers to either of those questions aren’t probably ones I want to know about! Certain things seen during Allan’s nightmare journey leaves me rather curious. Such as a certain critter running around in Glasgow of all places and if whether or not that’s just a weird trick of some kind. And what, if anything that our main guy’s apparent if rather violent savior has anything to do with it. That guy’s use of a shovel shocked me, I know that damn much as its not often you see them get used for violence! Sink #1 has also pretty much given me good reason to be forever wary of blue colored vans. 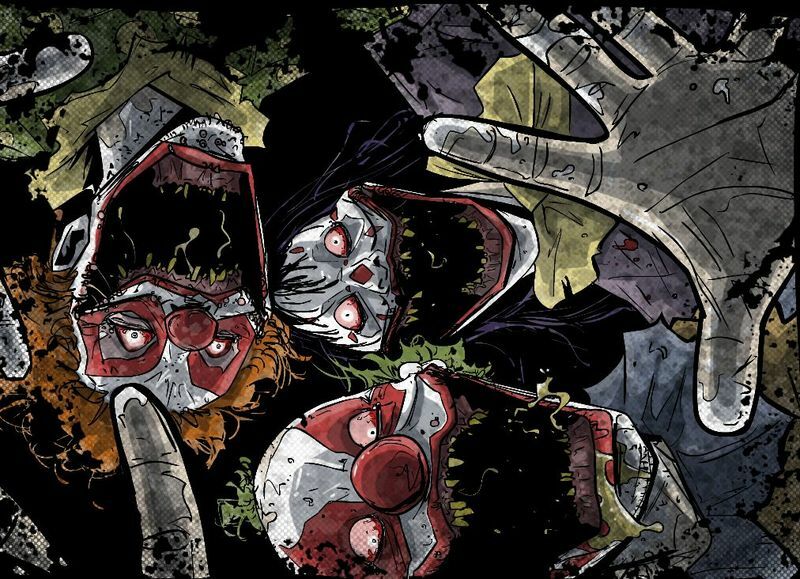 Not to mention wanting to stay away from clowns even more! What this means for Allan’s future is unclear and that’s a rather scary thing for sure. 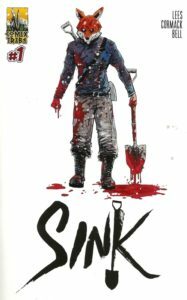 And because of that, ComixTribe and John Lees have managed to hook me in for wanting to know what else they have in mind for Sink! Whatever it may be, its bound to be disturbing for sure! Not to mention nightmare (Which actually happened) inducing! So readers beware, you’re in for a disturbingly good read! Editor’s Note: Head to the Sink Facebook page to grab yourself a copy! Summary: Few people ever enter Sinkhill. Even fewer ever leave. Welcome to Glasgow. Bring a shovel.